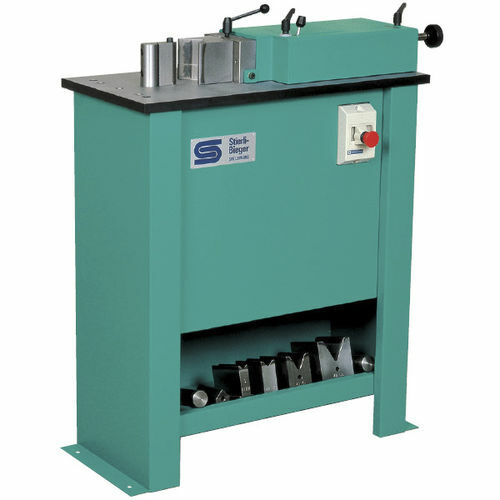 The Stierli-Bieger 85 SB is a very compact bending machine made from solid steel. 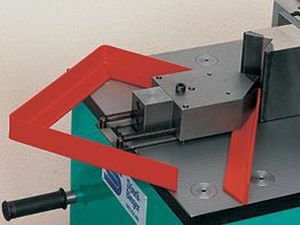 The bending pin with a diameter of 42 mm is inserted 110 mm into the plate. 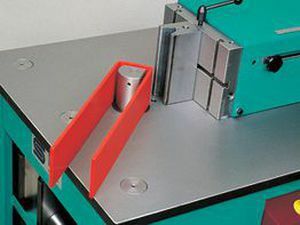 An extremely wide range of tasks can be carried out with the 100 mm tools. 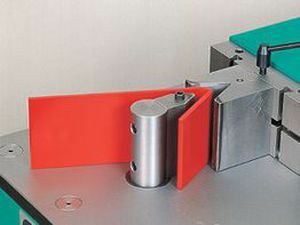 The large working plate ensures that larger bent parts can be positioned easily. The special oil-lubricated guided cylinder requires no maintenance! The machine is extremely versatile with its large 120 mm stroke and simple tool holder. Stroke restriction is carried out hydro-mechanically, making operation easy with maximum precision. The machine can be transported easily inside the factory with a pallet truck. 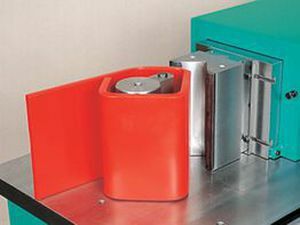 A tool tray provides organised storage of the tools so that they are always to hand.